The first time I heard about the concept of a single story was during DC week, through the activity titled “DC through another lens”. In the activity we were broken into smaller groups and sent around the city to visit two of the eight wards. We went to the eighth ward which is a predominately black neighborhood, and the second ward which is home to the Latino community of DC. Within this activity we were given a theme and a corresponding set of tasks. My group was focused around restaurants. The first place that we navigated to was MLK deli. At first I was a bit underwhelmed to hear that we were going to a deli, because I am not a huge fan of sandwiches. This was the first time I recognized that I had single story of what delis should be like. I assumed that it would have a large variety of classic cold cut sandwiches, this turned out to not be the case. The menu was short, but perfect and offered a variety of sandwiches with unique names representing different people the deli has worked with. I ended up having a grilled veggie wrap and the best strawberry lemonade of my life. During our visit we sparked a conversation with the man behind the counter; he told us about the history of the deli and how their mission is to bring affordable fresh food to the area where the primary options are fast food. This experience prompted me to question assumptions that I make about things before seeing them for myself, and to try not to create single stories about people or places. The concept of a single story has been extremely important throughout our time in India. 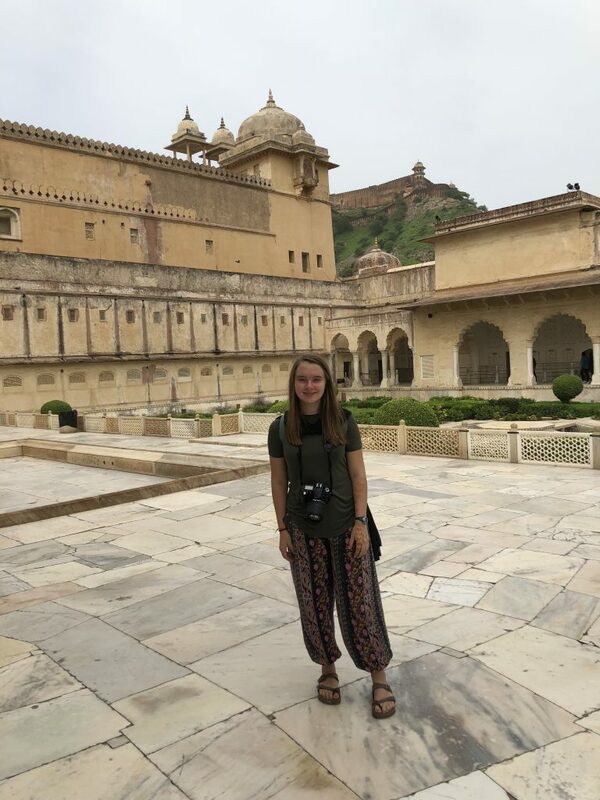 Prior to the trip I had so many ideas about what India would be and the majority of them are not true or much more complex than I thought they would be. My expectations of what India would be like and how it actually is are two different things. I have listened to some of the most passionate people, eaten the best food, and made some of the best memories of my life. While I did go into the trip expecting good things, I have found so much more. Our leaders are constantly questioning the group to see if we have or had a single story and if our experience has changed it. For me, the concept of a single story has given me a new way to see the world. Reflecting on myself I realize that it could be very easy for people to see me as a single story. I could simply be seen as just another teenage girl from one of many Midwest college towns. Beyond my single story, I am much more. I have two moms and have been by their side through the fight for marriage equality. I have a younger brother who is adopted from Guatemala and a cousin who has grown up with me for the past ten years. I was passionate about finding the high school that fit best for me and did months of research to make that a reality. I was one of the organizers at my school for two days of activism regarding the March for Our Lives movement. I have dyslexia and constantly advocate for myself and what I need to have the most enriching learning experience. Single stories are the product of expectations that have predetermined our ideas about something or someone. Single stories limit us to one idea about something, but by looking beyond we can see a much larger picture and better understand the world.